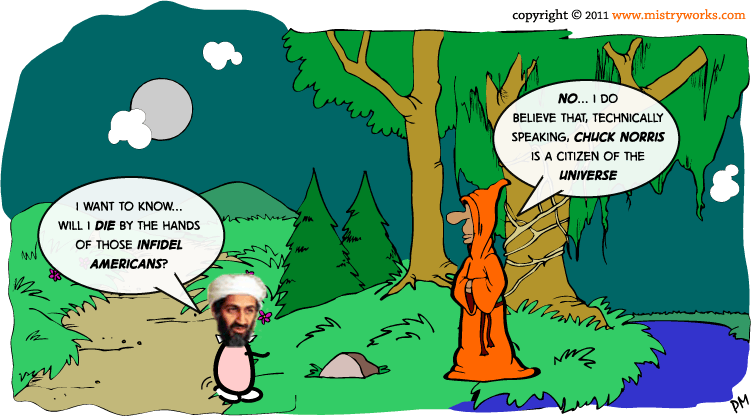 Osama bin Laden was rumoured to have taken a short vacation from his hideaway in a damp Afghani cave to visit The Guru. He asked his most pressing question under the cover of darkness: Will he die at the hands of those infidel Americans? The all-knowing Guru, as always, replies appropriately. Hell yeah bay-bee – keep them coming! Great cartoons – I love the Guru! !